Working at Bucks and launching the new course in Animation and Visual Effects has been one of the highlights of my professional career. After all, Bucks is a university with excellent facilities in new media and a strong focus on the creative arts. 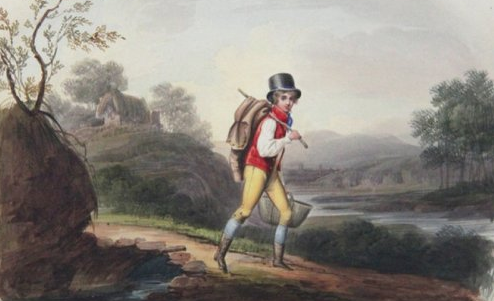 Sad to say, today is my last day at Bucks, and I am moving to a new job in London with Escape Studios. However, the excellent work done at Bucks by our talented students will continue, and I wish the very best to whoever takes on the running of Animation and VFX course. Animation Methods by David Rodriguez is a very, very good book on learning animation in Maya. It's a book that focuses primarily on 3D Character Animation, a step-by-step guide for learning Maya, and the Maya animation tools. It also has useful sections on how to get into the industry, how to make a great demo reel, and how to get a job in animation. 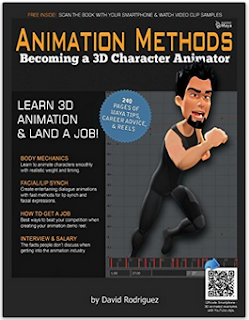 We think this is a very useful companion book to the animation and VFX course at Bucks. It is also an unusual book in that it makes extensive use of QR codes - meaning you can use your smartphone to scan the codes and then view a 3D animated clip of the lesson. So, not only can you read the lesson, but you can also see and understand it through a video demonstration. CTN hosts Animation Masterclass with Pixar's Michal Makarewicz. This weekend the Creative Talent Network (CTN) hosts an animation masterclass with Pixar's Michal Makarewicz. There are still some spots available - the only catch is you will need to be in Los Angeles. For any of our students in the area, we highly recommend attending this event - and others like it. Time spent seeing the work methods of master animators is never wasted, and will help you to polish and refine your own workflow. STUDIO AKA Montage Reel 2015 from STUDIO AKA on Vimeo. Check out the latest work by STUDIO AKA, a multi-BAFTA winning & Oscar-nominated independent animation studio & production company based in London. This is just the sort of small studio we love to see, boutique houses doing creative and interesting work in animation. Most interestingly, Studio AKA do a mixture of 2D and 3D work, showing that the medium isn't really what matters - it's what you do with it that counts. Animation is all about creating an entertaining and believable performance. We train our students to master these skills so that they can use any software to create great animation. This year Siggraph is taking place in the Los Angeles Convention Center, from 9-13 August. Siggraph is the world's biggest conference on computer graphics. Like FMX in Stuttgart, or the Annecy animation festival, it is the perfect place to find out about the latest technologies, meet other animators, find the big recruiters, and figure out where the industry is heading. It is, in short, a window into the digital future. Obviously, not many of our students will find themselves in LA this summer, but for those luckily few that are, we highly recommend attending Siggraph - and events like it. There is nothing quite like it to give you a unique insight into the the new technology that is driving the development of the animation industry. BAFTA recently held a series of lectures and masterclasses on film production, welcoming members of the public to hear industry professionals give lectures on all aspects of the business. One of the best presentations was a talk by David Thompson, formerly head of films and single drama at BBC, and a producer with a clutch of BAFTAs and Golden Globes on his shelf. Most importantly, he has over 100 screen credits, including Billy Elliot and Mandela. Here at Bucks we recommend that all our students attend industry events like this whenever possible. You never know who you will meet, and what you will learn about the way the industry actually works. Our new online MA in Animation is still welcoming applications and, if you hurry, you can still get a 10% discount on the fee - we've extended the deadline until the end of August. We're excited to be launching the world's first degree of this kind, and we're getting applications from all over the world, including the UK, USA, Canada and Australia. Some of the applicants are very talented indeed, many of them professional animators looking to broaden their skills and also gain a qualification suitable for teaching in higher education around the world. So how does the application process work, and what can applicants expect? 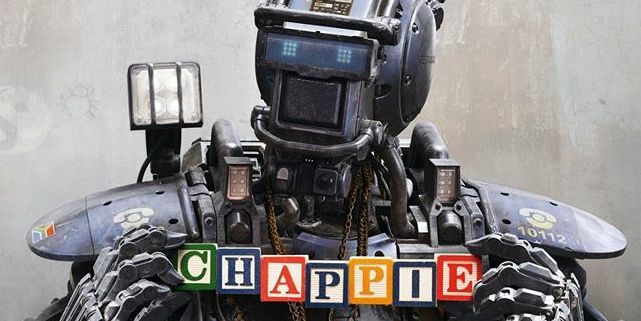 Sony Pictures is offering students a chance to enter an art competition for a new film "Chappie", being released on Blu-Ray. The contest is open for two weeks, and the winner gets a pack of goodies and film-related prizes. Charlotte - a New Free Maya Rig! 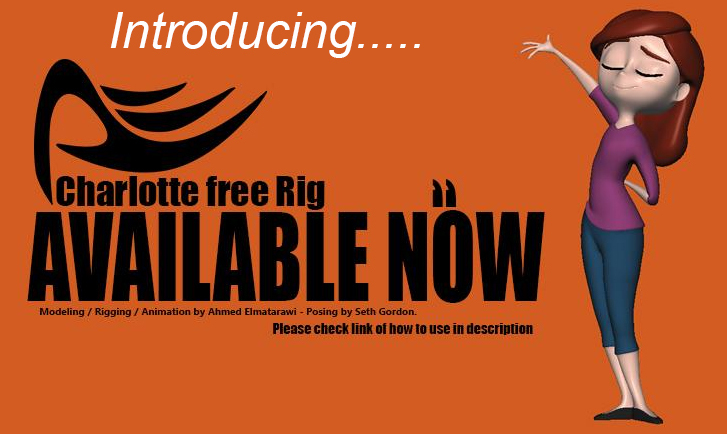 Digital artist Ahmed Elmatarawi has just released his newest baby - Charlotte - a free Maya rig available for student and non-commercial use around the world. We haven't tested it yet, but the video below takes you through the rig in detail, and we look forward to seeing what our students can do with her. 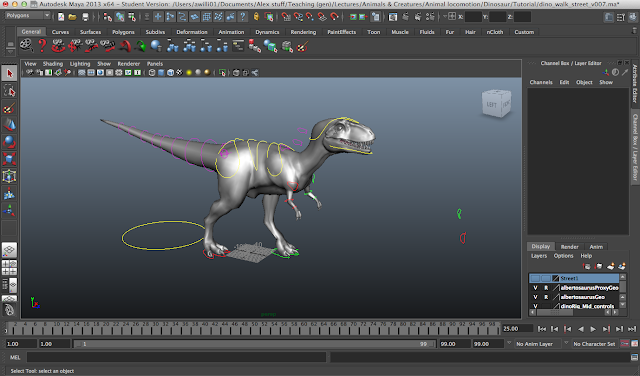 One of the great benefits of working in Maya is its growing user base, bringing us new and better animation rigs for student use all the time. So who and what is Charlotte? What Do Sales Agents Do, Exactly? Any animator with dreams to bring their own project to the big screen will eventually need to understand the business of making and financing animated films. This includes the question of who, exactly, is going to sell your film for you. Are you going to do it yourself? Or are you going to bring in experts who know the business? Probably, you will do the latter. As part of our series on the business of animation, we take a look at what exactly a sales agent is and what they do.